Made from High Density Cool Gel Grade foam. 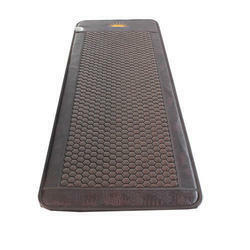 Covered with Water proof Anti-Microbial, Anti-static and Flame Retardant fabric. The cover is stitched with Zip fasteners. Size Range : 182 - 198 cm length x 50 - 91 cm width x 7 - 10 cm thick. We can also do size customisation. Base Bed for Alfa Mattress. Sleepwell Hospital Mattress in Standard Range is available in One / Two / Four Sections without any extra cost. This product is most suitable for Semi – fowler / fowler or Beds used for General Wards. Sleepwell Hospital Mattresses are made using High Quality Anti - Microbial Polyurethane foam compliant to international standards. These mattresses are tested for 24 hours usage for patients. Health_fresh* TREATED – Only Sleepwell Hospital Mattresses are treated with healthfresh* which prevents the breeding of dust-mites, fungi & bacteria in the mattress and builds-in protection for healthy living. Sleepwell Hospital Mattress in Standard Range is available in One / Two / Four Sections without any extra cost. 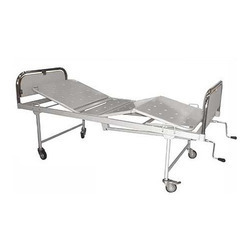 This product is most suitable for Semi – fowler / fowler or Beds used for General Wards. 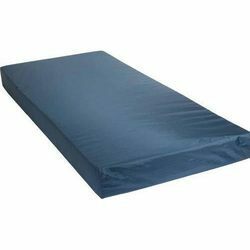 Sleepwell Hospital Mattresses are made using High Quality Anti - Microbial Polyurethane foam compliant to international standards.